The Virginia Beach SPCA foster program is a cooperative effort on the part of our shelter and generous volunteers for the purpose of providing specialized care to animals that are not yet prepared for the adoption process or shelter environment. 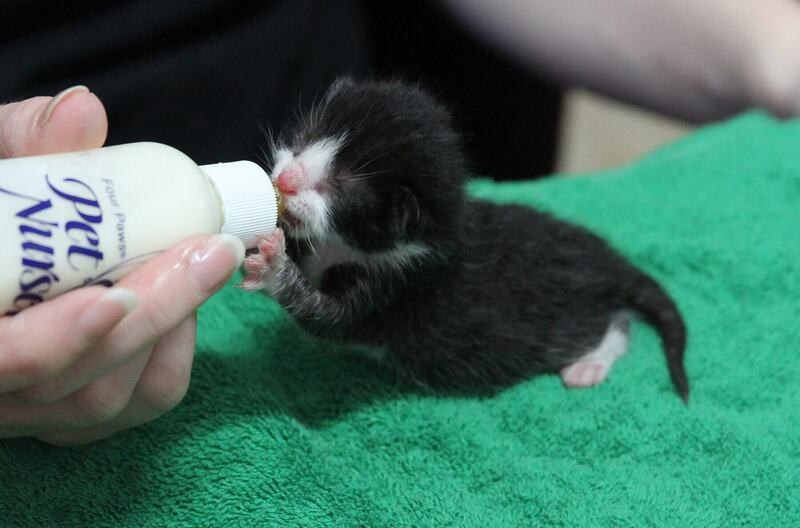 Approximately 1,100 animals benefit from the foster program each year. Our approved foster homes provide the care and nurturing environment that facilitates the eventual adoption of an animal. Our wonderful foster families have made it possible to find homes for animals that would otherwise have been euthanized. It takes a great deal of dedication to provide such intimate care for an animal that will eventually leave. But those that volunteer find the experience very rewarding. What Kind of Animals Receive Foster Care? Kittens and puppies whose immune systems are not yet fully developed and who are too young to be spayed/neutered. Kittens and puppies who were relinquished before they were fully weaned. Animals that are recovering from an illness or injury and require targeted care. Mother dogs and cats with their babies. To prevent unnecessary euthanasia of potentially adoptable animals by providing for special needs in temporary foster homes. To provide a less stressful environment in which ill/ injured animals may fully recover. To ensure that all puppies and kittens are completely weaned, old enough to vaccinate and spay/neuter, and have been properly socialized before being placed for adoption. To increase the adoptability of animals that have unknown histories or questionable behavioral traits by observing their behavior in a home setting and socializing them to human companionship. The animal goes to the foster home until the date noted on the fostering contract. Every two weeks, the animal will need to be brought to the shelter for check-ups, weighing and deworming, if necessary. Phone and email updates are always appreciated, but we would like to physically see the foster animals and put our hands on them at least every few weeks. The animal is returned to the VBSPCA when it is ready for adoption, or on the date specified. If the VBSPCA has any concerns about the animal’s health, we may ask for the animal to be returned before the specified date. Please allow us to make these decisions in the best interest of the animal. Interested in providing foster care for animals? Read the Foster Home Responsibilities to make sure you’re eligible, and then contact our Foster Coordinator at 757-427-0070 x 110 or vbspcafoster@vbspca.com.